Master Sgt. 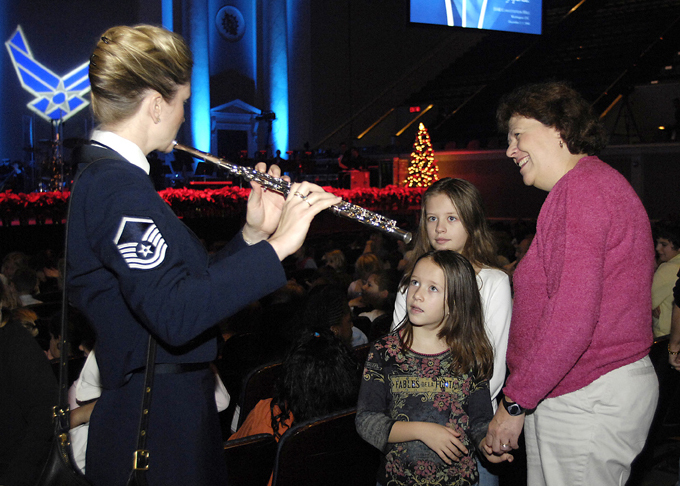 Stacy Ascione, United States Air Force Band principle flutist, performs during a holiday concert at the Daughters of American Revolution Constitution Hall in Washington Dec. 1, 2006. The Air Force Band to include Max Impact, The Air Force Symphony Orchestra and members of the Airman of Note performed for the first time at a holiday concert for students in the local area.